There are no words. There are literally no words. Which in this case is fine, because even if we found the words, we’d be too hoarse and exhausted to utter them anyway. And we are not alone. All over town, there are people who won’t be able to speak above a whisper all day, people sleeping through their alarms, people waking up bleary-eyed, expecting to find that it was all a dream. An entire city, millions of people in a Gulf Coast town, in flyover country, did nothing last night, absolutely nothing, but scream for five solid hours at television sets with friends and family, and now we are paying the price. And yet we would do it all again. Hell, we probably will do it all again in a few days. The hollering came from every living room, every sports bar, every sentient being within spitting distance of an LED screen. Screams gathered in the crisp fall air above The Woodlands, and joined up with the whoops and yelps of Midtown and Katy and Pearland and Galveston. The screams were of joy, yes, but also amazement, shock. 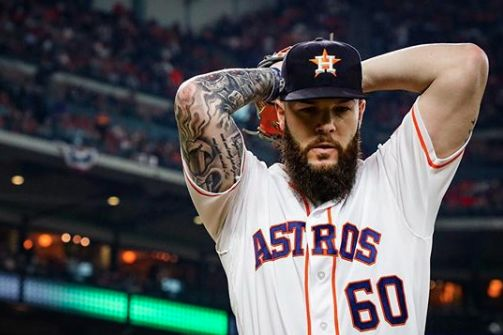 We knew they were a never-say-die team, but the resilience demonstrated by the Houston Astros in game 5 of the World Series was nothing short of terrifying. It took your breath away. As they came back again and again and again, we found ourselves thinking a higher power must be governing their actions, if only because no other explanation made even the slightest bit of sense. How else to explain the fact that the Astros won a game they were losing 4-0 to the mighty Clayton Kershaw? Staked with such a lead, he was unstoppable, invincible, said the commentators. 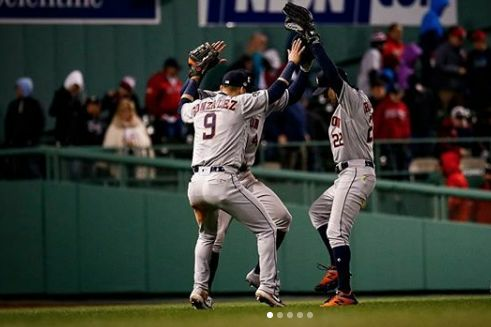 But then came the bottom of the fourth inning, the walk to George Springer, the single by Jose Altuve, the double by Carlos Correa, and the home run by Yuli Gurriel. No, said the baseball gods. Kershaw is not invincible. How else to explain that the Astros won after trailing 7-4 with the Dodgers’ Kenta Maeda on the mound? 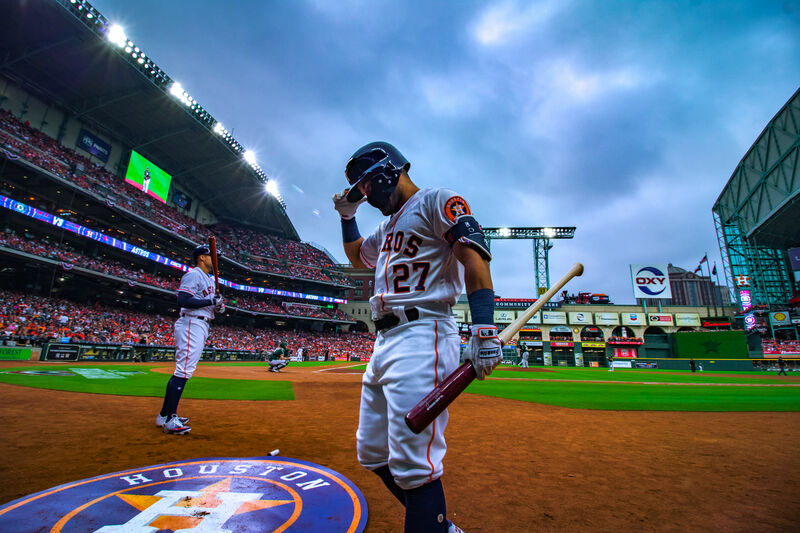 Once again, a comeback seemed impossible up until the moment it wasn’t, in the bottom of the fifth, when Altuve vaulted a ball into a jubilant throng in center field. Maeda was not invincible either. When would George Springer ever live down his diving catch that wasn’t, we wondered, when the center fielder missed Cody Bellinger’s liner and the Dodgers’ first baseman ended up with a triple in the top of the seventh inning, giving his team the lead once again? In the bottom of the seventh, on the very first pitch, came the reply, when Springer obliterated a ball from Brandon Morrow, homering onto the train tracks at Minute Maid Park. Redemption had never been so sweet or swift. And finally, in what universe would the Dodgers’ great closer Kenley Jansen not lead his team to victory, or at least out of the woods, in the bottom of the 10th inning, when the game was deadlocked 12-12 and the Astros were down to their final out? This one, said the baseball gods. And still we doubted it. Jansen has been nails all season, we said, as sure a bet as any reliever in baseball. He was the last pitcher who’d ever hit Brian McCann on the wrist, or give up a walk to Springer. And even after McCann was replaced by speedster Derek Fisher at second, surely Jansen would shut down Alex Bregman before any damage was done. This time, the city’s screams would be primal, soul-shattering, ear-splitting. But first would come the pleading. 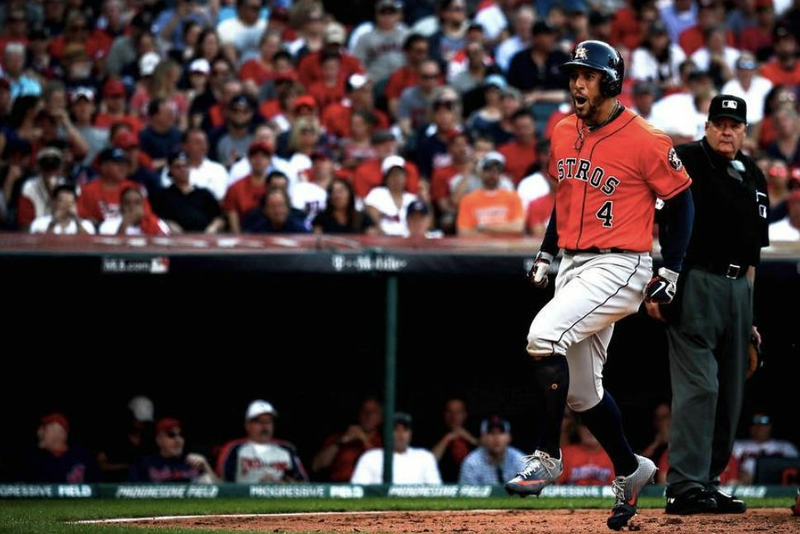 When Bregman connected on Jansen’s very first pitch, looping a single to left over a leaping Corey Seager, the Dodgers’ shortstop, there wasn’t a soul in Houston who didn’t believe Fisher had a chance to score—Run, Derek! Run, Derek! Run!, we shouted—but Andre Ethier fielded it cleanly and Fisher had barely rounded third when the center fielder fired it home. Please, Derek! Run, Derek! Run, dammit! RUNNNNNN!!! There was pandemonium and exultation as the number 13 appeared in the run column. And there was screaming too, of course, by those few who still had the voices to do it. But there were no words for what happened. None. And there still aren’t. Game six of the World Series begins at 7:20 p.m. local time on Tuesday night in Los Angeles, with game seven the next evening if necessary. The Astros lead the series 3-2, and need just one more win to capture their first-ever World Series title.